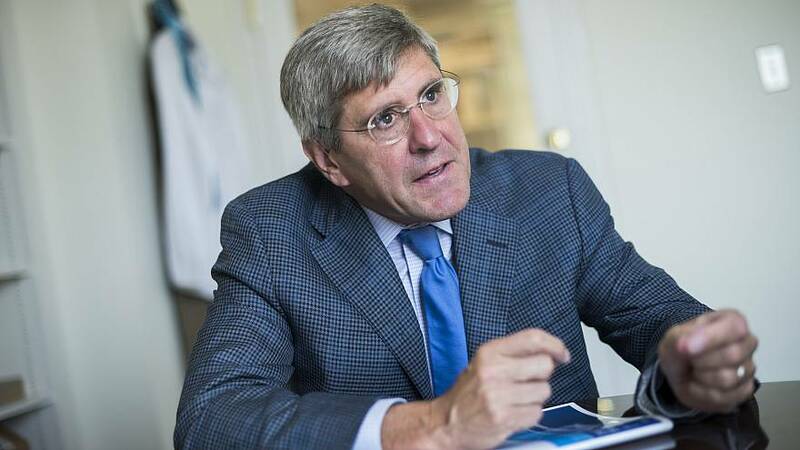 President Donald Trump said on Friday that he will nominate Stephen Moore, who has been critical of Federal Reserve Board policy and its current chairman, to a seat on the board. "I will be nominating Mr. Moore for the Fed," Trump said. "He's going to be a great." Moore, 59, previously served as a Trump 2016 campaign adviser and is currently a visiting fellow at the Heritage Foundation. He also co-authored a 2018 book titled, "Trumponomics: Inside the America First Plan to Revive Our Economy." Moore, like Trump, has been a frequent critic of Fed Chairman Jerome Powell. Last December, he wrote an op-ed slamming the Fed for raising interest rates, calling Powell "tone-deaf." The nomination requires Senate confirmation. This is a breaking news story, please check back for updates.